A week ago, in the open ocean off the Florida coast, the first stage of a SpaceX Falcon 9 rocket nearly made history. 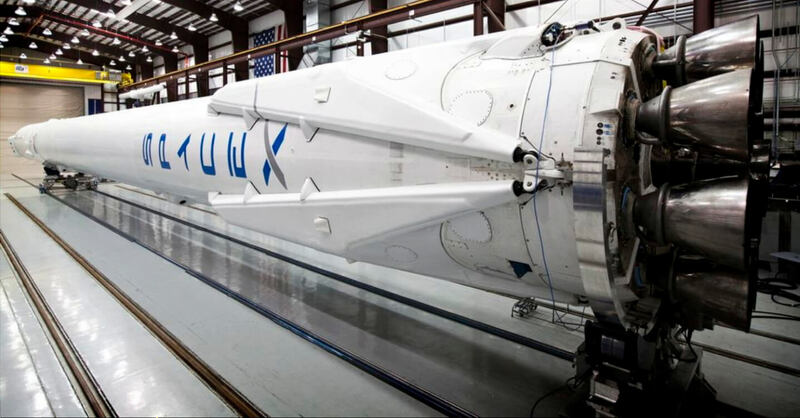 SpaceX is attempting to recover, refurbish, and reuse its rockets to radically slash launch costs. While the rocket’s second stage and Dragon capsule continued to a successful rendezvous with the ISS, the first stage plummeted through the atmosphere, fired its engines to slow itself and deployed fins to precisely guide its descent. 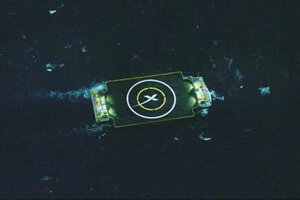 SpaceX calls this football-field-sized ocean landing pad the Autonomous Spaceport Ship Drone. In similar attempts last year, two rockets executed a soft landing over the ocean before toppling over and being lost to the waves. This time, however, the rocket had a floating landing pad waiting for it. Whereas the previous attempts proved the rockets could come in soft, they weren’t precise—SpaceX targeted a landing accuracy of 10 kilometers. For the latest attempt, landing on what amounted to a postage stamp, the required accuracy was 10 meters. SpaceX founder and CEO, Elon Musk, put the likelihood of success at 50%. And in one sense he was on the money. The attempt was half successful. On one hand, the rocket hit its target—no small feat. On the other hand, it struck a glancing blow, exploded, and ricocheted into the ocean in pieces. Obviously, not the outcome they were looking for. Musk tweeted, “Close, but no cigar this time.” Later in the week he noted they’ll add 50% more hydraulic fluid for the next launch, scheduled for February 9 (or thereabouts—the last launch was rescheduled several times). If successful, it’ll be a big day for space exploration. SpaceX has already reduced launch costs significantly. If they can rapidly reuse the first stage, they may reduce them even more. Just how much depends mostly on the cost to refurbish the rockets and their lifetime. First Hop: Early trials in 2012 used the first stage of a Falcon 9 rocket with one Merlin engine (instead of the Falcon 9’s nine). The test rocket was dubbed Grasshopper. See the program’s humble beginnings with Grasshopper’s first 6-foot hop. Precision Flight: During the next year of increasingly higher flights (up to 744 meters), Grasshopper here shows precision, sensor-guided steering by flying 250 meters up and 100 meters to the side, returning to the pad and landing on a dime. Falcon 9R Spreads Wings: After Grasshopper, SpaceX tested a full Falcon 9 first stage equipped with landing gear and fins in “X-wing” configuration. The fins, which malfunctioned in last week’s test, help aim the rocket with even greater precision.